Based in Milan, AFJ Instruments manufactures innovative, reliable and cost-effective instrumentation, complying with EMC, RF-Monitoring and Product Safety Standards. Cutting-edge technology, comprehensive product features and a competitive price/performance ratio have ensured that AFJ have developed a loyal following. Located in San Diego USA, AMETEK Programmable Power boasts one of the industries' broadest portfolios of programmable power products under the well-known and respected Sorensen, Elgar, California Instruments and AMREL brands. AMETEK's programmable power supplies and power sources serve a wide range of stimulus (T&M) and process power needs in applications including semiconductor fabrication, commercial and defence ATE, oil exploration, solar array and battery string simulation, avionics, general R&D and EMC compliance testing. Established in Germany in 2007, Gauss Instruments has quickly gained a reputation as the world’s premier manufacturer of highest performance EMC test equipment and most advanced EMI test solutions. Combining their unrivalled knowledge of real-time digital signal processing, millimetre and microwave technologies, Gauss Instruments have developed receiver and analyzer solutions that delivering speeds and analysis capabilities several orders of magnitude greater than any other measurement equipment available. Located close to Leicester City in England, Newtons4th Ltd (abbreviated to N4L) was established in 1997 to design, manufacture and support innovative electronic test instrumentation to a world-wide market. 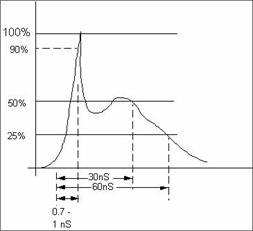 Specialising in sophisticated test equipment, particularly related to phase measurement, their product portfolio includes Power Analyzers, Frequency Response Analyzers (gain/phase analyzers), Impedance Analyzers, Vector Voltmeters, Phase Meters, true RMS voltmeters, Selective Level Meters and Laboratory Power Amplifiers. Teseq® offers the world’s most comprehensive range of EMC systems for immunity and emissions testing. Founded on a world-class research and development program and backed by state-of-the-art global manufacturing, Teseq’s membership in the relevant international committees demonstrates their commitment to the industry. Their unique “modular” approach to EMC breaks down the barriers between traditionally separate test functions and allows optimization of the test process to help customers bring products to market more quickly. Enjoying a global reputation for reliability & affordability, GW Instek has been dedicated to the development of cost-effective solutions for the electronics test and measurement industry since 1975 and are sold to more than 80 countries worldwide. GW Instek have more than 300 product lines, ranging from oscilloscopes, spectrum analysers, signal sources, basic test & measurement instruments to other safety & monitoring systems. With durable quality, affordable prices and great performance, GW Instek has become one of the most trusted brands in the world. Instruments For Industry (IFI) has been designing and manufacturing RF Amplifiers, Solid State Amplifiers and Traveling Wave Tube (TWT) Amplifiers (pulsed, CW and combination amps) since 1953. IFI offers the broadest range of RF Microwave Amplifiers manufactured by any company in the world today! With TWTA and Solid-State Amplifier installations world wide, products for both commercial and military applications, IFI continually proves itself as number one in providing the most advanced RF Microwave amplifier transmitter solutions available today. Established in 1987 on the Isle of Wight in England, Milmega is a leading specialist in the design and manufacture of solid state, high-power microwave and RF amplifiers. The company's core strength lies in the development of broadband Class A amplifiers, typically operating in the 80MHz to 6GHz range with output powers from 10W to above 1kW. Their broadband amplifier products serve the EMC, communications, science and defence markets around the world.